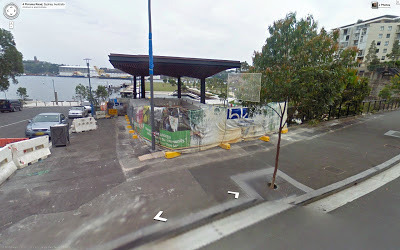 We plan to go back to Pyrmont in February and do our proposed sketchwalk down Harris St. 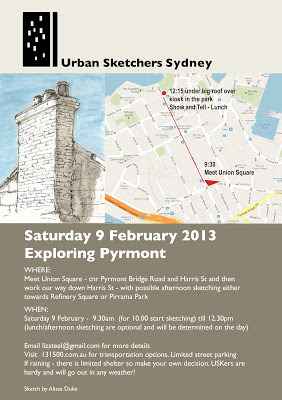 There are lots of things to sketch and local USKer Alissa will let suggest a few things to check out along Harris St. The idea this month is to do a few sketches along the route. If it is raining there are a number of shop awnings along Harris St... but please make your own decision. Some USKers will sketch in any condition!?! Last month it was forecast a hot day and it was fine at Paddington. 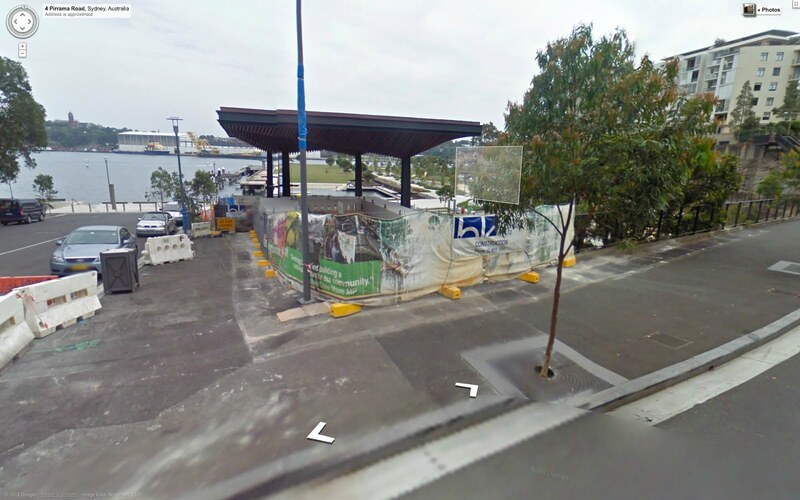 There is a good breeze up Harris St and shade on one side of the road. Contact me on the above email address for more details or if you want my mobile number. 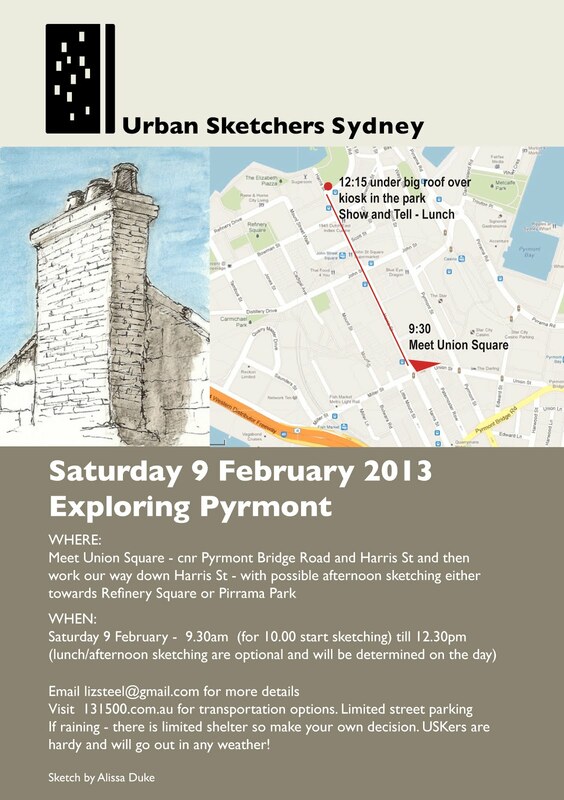 Sketching this Saturday in Sydney!